Customize your CD/DVDs for easy identification, organization or to add eye-catching graphics. Easy to format using pre-designed layouts, photos and clip art in Avery DesignPro Media Software. Jewel case insert have a precise fit. 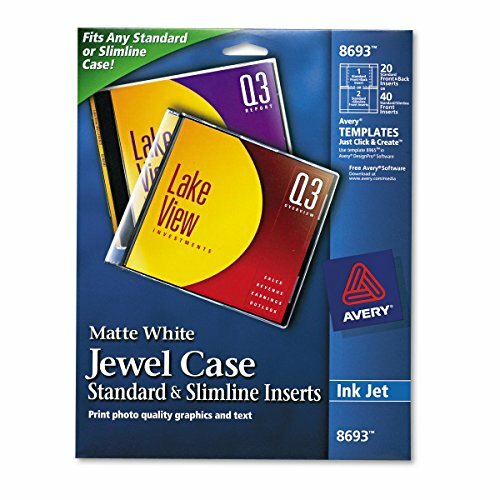 Only Avery offers so many easy-to-use design and print solutions for media labels.